As I read through the volumes’ of research from some of Americas greatest Baseball historians I stopped at a black catcher named Moses Fleetwood Walker. Silent, unassuming and intentionally hiding within the shadows, he played a pivotal role in changing the course of Baseball History in America. What makes it all so amazing, to me, is how history is like a famous Movie Producer. Major League Baseball's First Black Professional was the movie and Moses Fleetwood Walker played the staring role. But Moses was special and at the time didn’t realize it. He was a naturally gifted athlete who loved the game of Baseball and was born to play this starring role in Baseball History. Let’s not forget My guiding premise on the Game of Baseball and that is that the game, itself, is color blind, but in 1884 not everyone was ready for blacks to play on the same field with whites. Baseball had clearly become the vehicle used to generate income for black ballplayers and their abilities were the empirical evidence used for comparison. Baseball forced black and white ball players to compete against each other and in 1867 a move was made to clean up the competition. 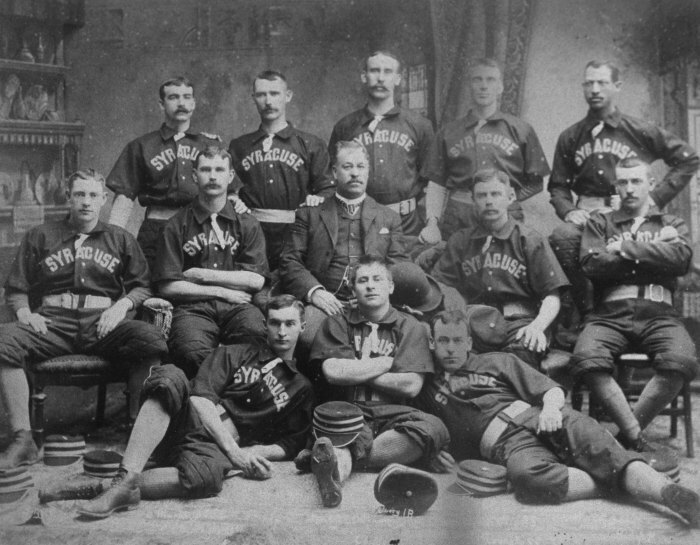 Baseball banned The Phthians of Philadelphia Club, a black owned club which was applying for membership. The ban ruled that any club with “one or more colored persons” would not be allowed admission into the ranks of professional baseball. That move is credited with being the official beginning of racism in Major League Baseball. The game of baseball in America grew, simultaneously, along the same time line as did slavery, a fact that no black or white player could escape. Slavery, as a practice, was inherently brutal yet intimate at the same time. One of the byproduct of slavery, however, was race mixing as many young female slaves served as concubines. While unintentional that mixing of the races forever affected our view on race and race relationships. Being able to excel at the game of baseball eventually led to a pay check and having that skill made you both loved and hated at the same time. That was magnified if you were black because you ultimately took a job that could have been filled by a white player. Moses was one of those players. 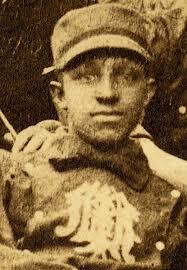 He was born in Mount Pleasant, Ohio on October 7th, 1856 at a time when baseball was its infancy. History credits Moses Fleetwood Walker with being the first black man to play in Major League Baseball (MLB). What didn't get much attention was the fact that Moses and his younger Brother, Welty, played at the same time on the same team. Being a product of a mixed marriage Moses had features and a skin color that gave him an advantage. Light skin blacks were easier to hide on their squads. It allow Club owners to, often times, look the other way when searching for the best players while paying the black player a fraction of what he paid white players. More importantly Moses, unlike many blacks, was educated, something that rare for most blacks but proved more valuable than the game of Baseball itself. Both of his parents were also educated which, understandably, gave him his head start. His parents, Moses W. Walker and Caroline O'Harra, were both Mulattos. They were born in 1856 in an Eastern Ohio Quaker community comprised of former Virginian slaves. At about the age of 3 his family moved 20 miles northeast where his dad, Moses W, became one of the first black physicians of Ohio. They were a deeply religious family and his dad was also the minister of the Methodist Episcopal Church. 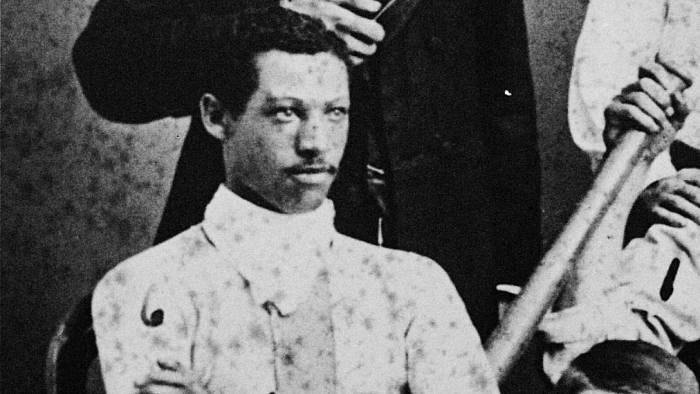 Moses Fleetwood Walker took to the field in 1884 when the Civil War and slavery was still recent history. Unfortunately an injury prematurely ended his season, and playing days the Blue Stockings only survived for a year. But that year marked the time when the American Association and Ban Johnson fought and became a recognized baseball league and competed with baseball's original National League. Walkers education coupled with his baseball skills gave him a unique perspective of the Game of Baseball and made him the perfect history maker for baseball. For Baseball, however, it was his mulatto features that opened the door. In America today a dark skinned black male is viewed as intimidating when compared to a light skinned black male and it was even more prevalent in 1884. I would like to believe that Moses understood and capitalized on the effects of his unwritten advantages, but the reality is that he was simply a product of his environment and history simply recorded the results.